Free and reduced-cost dental care clinics sponsored by public assistance programs and private charities. Ask a social worker or community volunteer about these opportunities. Programs offered by local dental colleges. This is a great way to help the next generation of dentists to hone their skills while saving yourself significant amounts of money. All care is performed under the watchful eye of skilled instructors. Credit cards. While this can be an expensive way to borrow money, the benefits of enjoying healthy teeth make this option worthy of exploration. 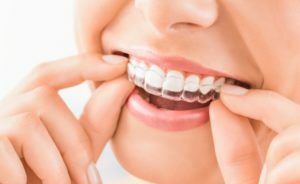 When considering the costs of Invisalign, it’s important to remember the benefits that this gentle, affordable form of alignment therapy offers. Dental problems affect more than just your appearance. They can cause headaches, tooth decay and spinal pain. They can also make caring for your teeth and gums more difficult. These issues are in addition to the personal and social anxiety that sufferers often experience. Nothing boosts self-confidence more than having straight, healthy teeth and gums. A happy smile is a great foundation for a better quality of life overall. When looked at within this context, the true value of Invisalign therapy becomes clear. Your journey to better oral health begins by making an appointment with a cosmetic dentist in Framingham. Mention your concerns about costs and ask about your options. The facts you learn might be just the thing you need to put a bigger, brighter smile on your face. Dr. Jean-Marie Biebuyk specializes in periodontal treatment, implant placement and cosmetic/reconstructive dentistry. He earned his DDS degree from the University of Pennsylvania in 1998. You can reach his office online or by calling (508) 875-0900. Comments Off on How Much Does Invisalign in Framingham Cost?